Liberal candidate for the hotly-contested seat of Macedon, Donna Petrovich, has shifted her position on wind energy as a result of a community campaign. The move could signal a shift on wind energy policy from the Napthine government. 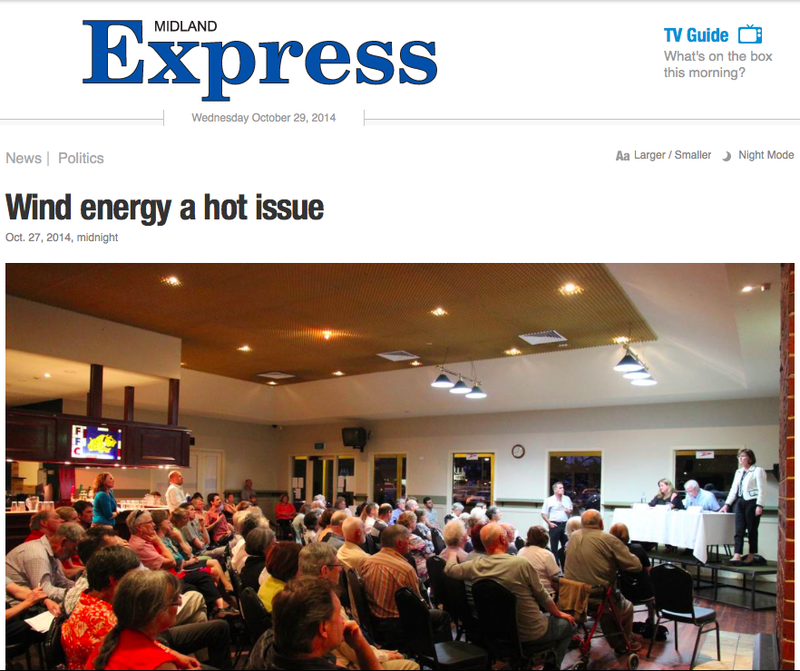 Ms Petrovich has told the Midland Express she will investigate exemptions for community wind farm projects. Ms Petrovich’s pledge has been reported in The Age. Liberal candidate for the hotly-contested seat of Macedon, Donna Petrovich, has softened her position on wind energy as a result of a community campaign. The move could signal a shift on wind energy policy from the Napthine government. The community campaign in Macedon is making headlines at The Age. 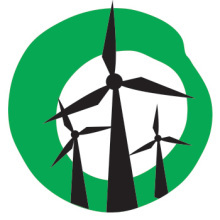 Friends of the Earth‘s Yes 2 Renewables campaign, which has partnered with the Macedon Ranges Sustainability Group, welcome Ms Petrovich’s commitment to push for an exemption for community wind farms. 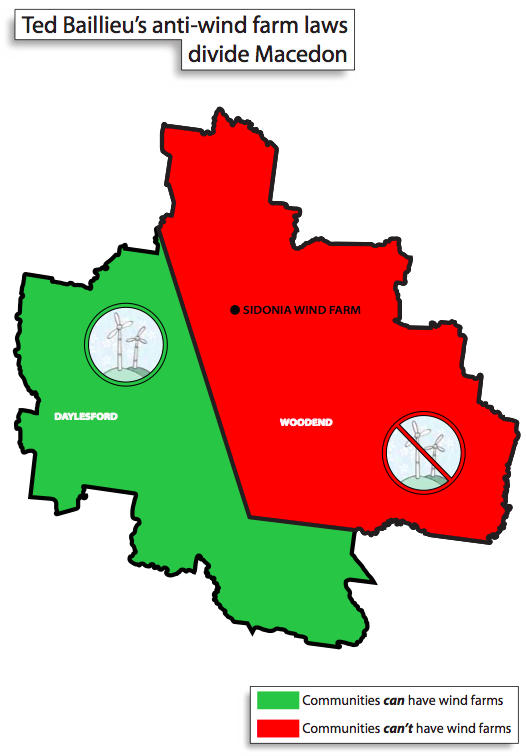 Exempting community-owned wind farms from areas where there’s a blanket ban in effect is a welcome step. Will the planning minister Matthew Guy confirm community-initiated projects will be exempted from the restrictions on wind farms? Such a position would be popular among voters. Polling shows 71 per cent of Victorians support laws that encourage more renewable energy, such as wind farms. While exemptions for community-initiated wind farms would be a welcome step from the Coalition government, reform shouldn’t stop there. Will the Coalition allow wind farms with majority community support go ahead? Wind farms, such as Challicum Hills near Ararat, have created jobs and millions of dollars worth of drought-proof income for regional Victoria. It has operated for over ten years and is incredibly popular. Unbuilt wind farms in Ararat, Crowlands and Coonooer Bridge will deliver huge economic benefits to regional communities. Yet the Coalition’s restrictions on wind farms stand in the way of such development. The anti-wind farm laws have to go. There should be a level playing field in Victoria that doesn’t discriminate in favour of coal and against wind. 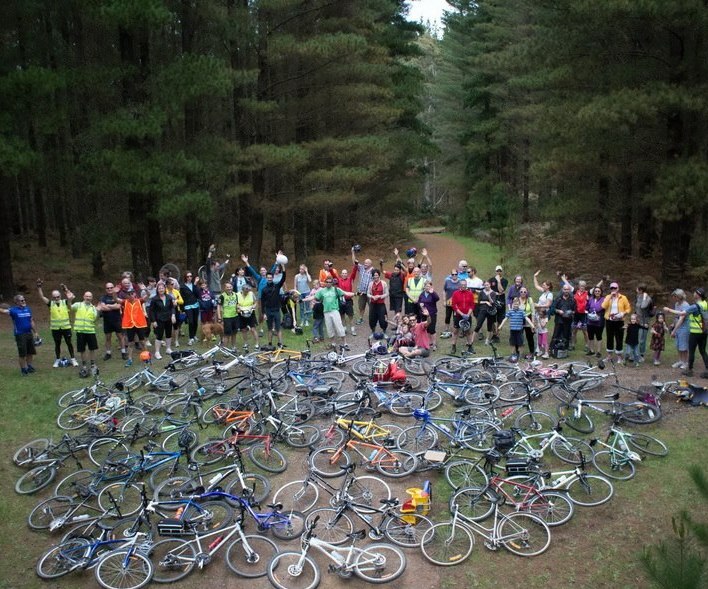 Macedon community members at the Ride 4 Renewables on October 18.